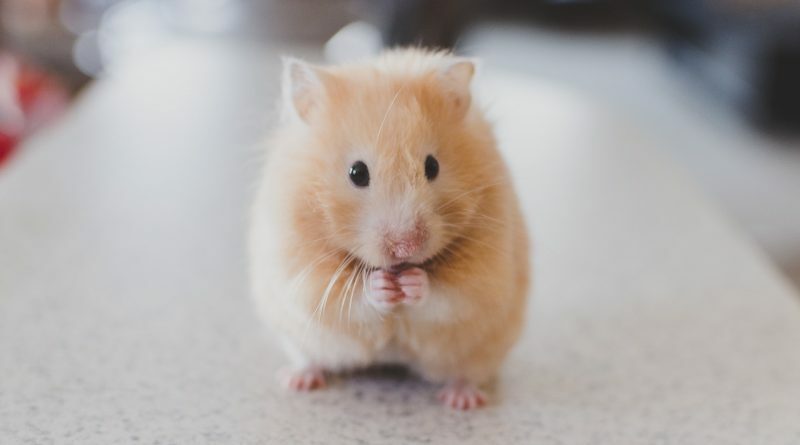 Hamsters are cute little critters, and if you have one for a pet, of course you’re going to want to do everything you can to keep it healthy and happy. Here are our top tips for caring for your pet hamster. The food your hamster eats is crucial to his health. Hamsters have a tendency to pick through their food and only eat their favorite things. Often, they’ll pick out the fattening sunflower seeds first and then go on to other stuff. The thing is, hamsters need a well-balanced diet to stay healthy, so you need to make sure they eat the other stuff, too. Fresh fruits and veggies are great for your hamster, but don’t overdo it, and don’t ever give them citrus fruits. Hamsters also need protein and will enjoy scrambled eggs for a treat. Remember, everything in moderation and always offer a variety of foods. The bulk of their diet should come from a well-balanced commercial hamster food. Your choice of bedding for your hamster is also essential for his health. 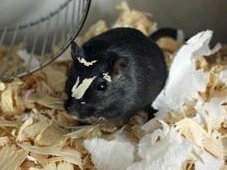 For example, cedar shavings seem to be incredibly popular for animal bedding, but they’re a bad choice for hamsters because they can cause skin irritation. Whatever bedding you choose, be sure it gets changed regularly and scrub out his cage thoroughly at cleaning time. Clean his water bottle often to prevent algae and bacteria growth. A clean cage makes for a happy hamster! Make sure your hamster’s cage is roomy so he can get a little exercise. Provide some means of entertainment, too. Things like paper towel tubes and small plain brown boxes cost nothing but your hamster will love chewing on them. There are also plenty of toys on the market made just for your furry little friend. Provide a wheel for him to run on and be sure he has some fun things to climb on. 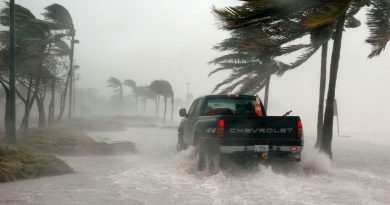 The cage itself can be made of plastic, glass (like an aquarium with a cover), or wire. If you go with plastic, be aware that your hamster will chew on it, so keep an eye out to make sure he doesn’t chew his way out. Be sure to place it in a safe place out of direct sunlight and drafts. Make sure it can’t be knocked over by children or other pets. Hamster teeth never stop growing, so they need hard things to chew on to keep them at a healthy length. There are some great wooden toys out there made just for this purpose. Dog biscuits are also great once in a while, and they provide some extra protein and calcium. Watch for signs of trouble when eating because it could mean his teeth need to be trimmed by your vet. One final note… if you want to have more than one hamster in the same habitat, be sure to put them together when they’re young. Hamsters don’t always get along well with others, especially when introduced later in life. 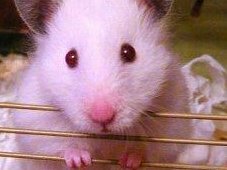 And be aware that they are very prolific… don’t keep a male and female together unless you want a littler of baby hamsters every 30 days.